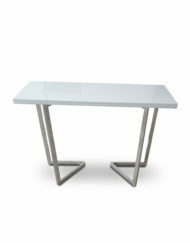 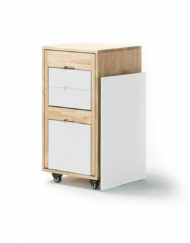 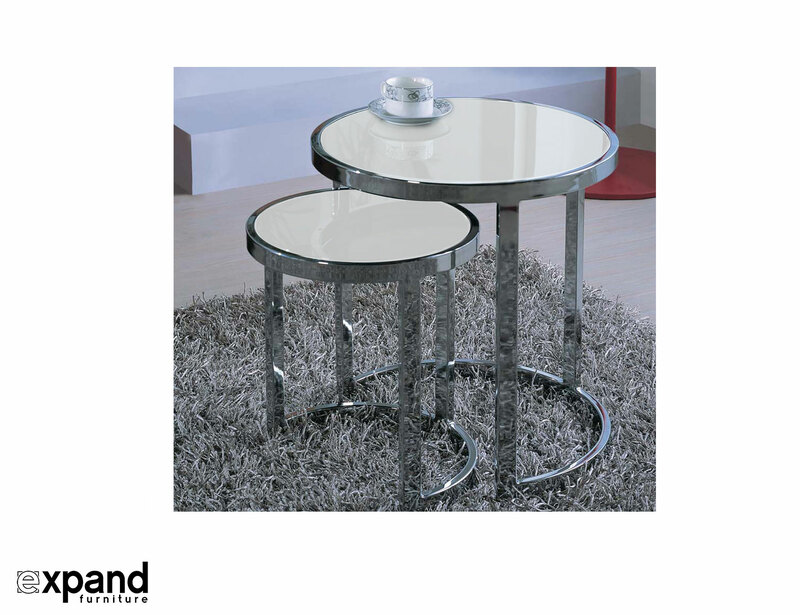 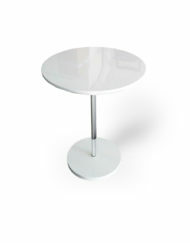 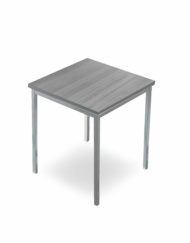 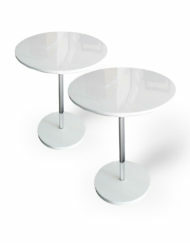 The Harmony Nesting Table set is round in form with a tempered white glass top and chrome legs. 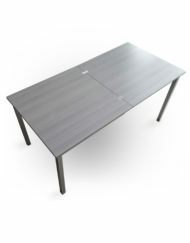 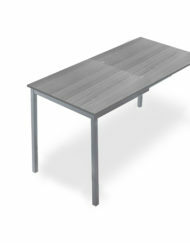 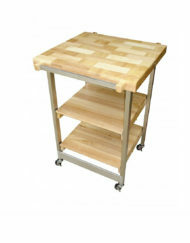 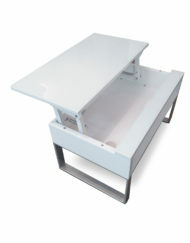 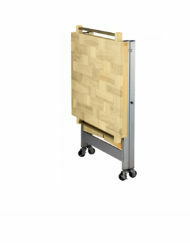 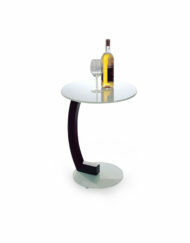 Lightweight yet very stable due to the semi circle base with rubber stoppers. 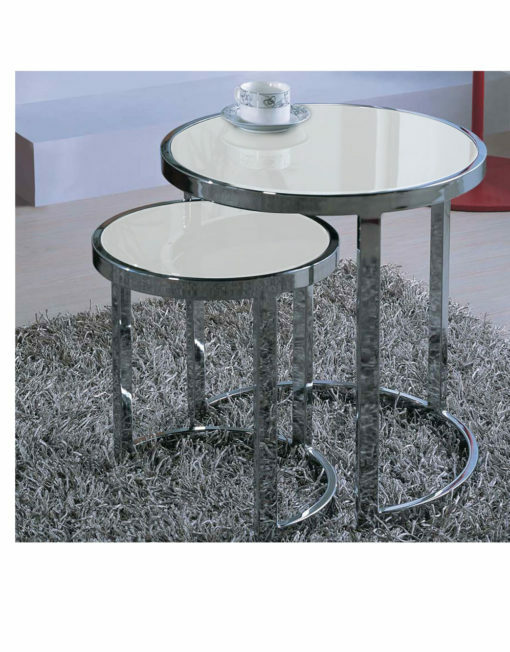 The smaller table nests inside the larger glass table making an ideal space expanding option when you need some more table room. 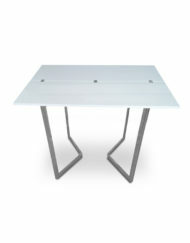 Sharp as a side table or tea table. 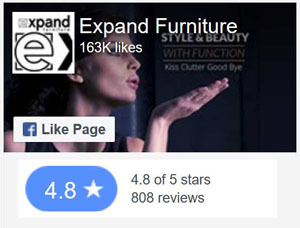 After another look? 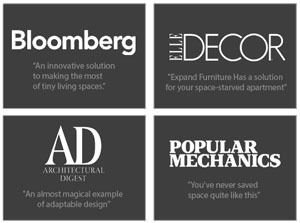 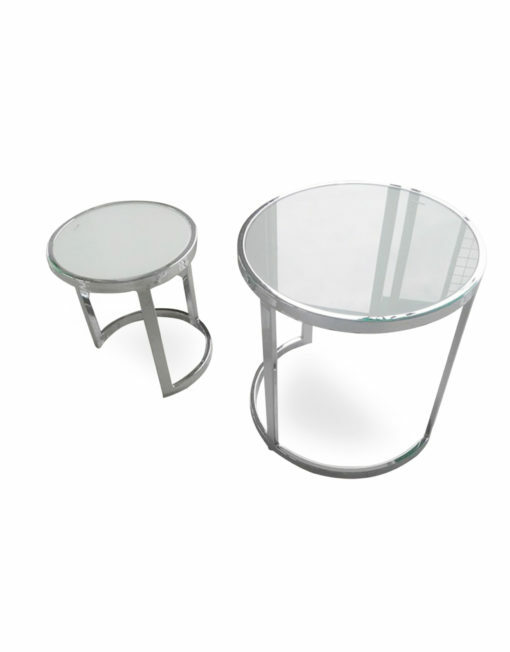 View the Bow nesting table or the Minima side table. 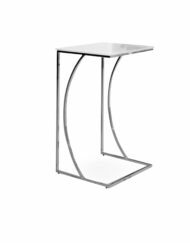 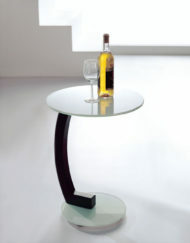 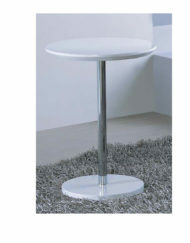 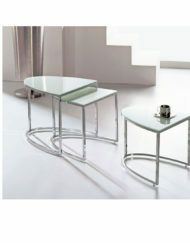 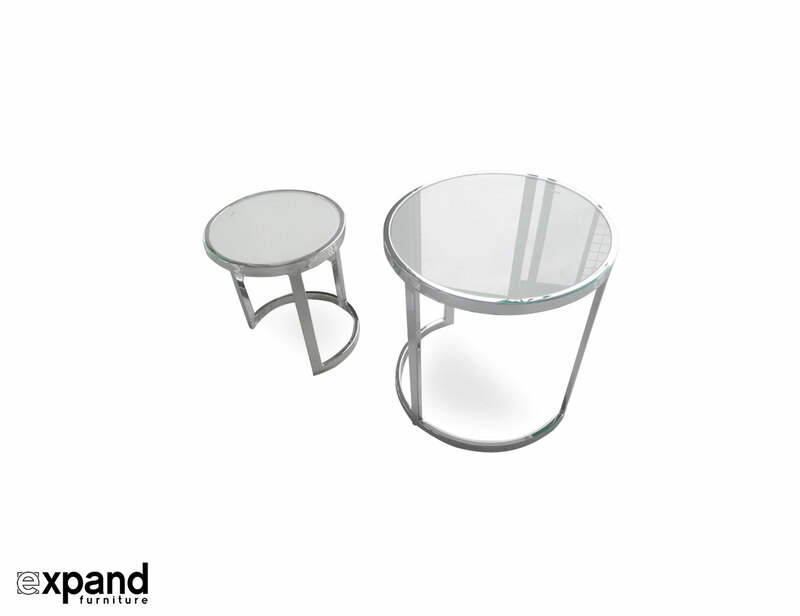 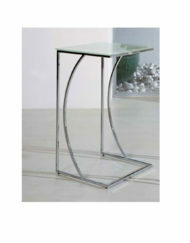 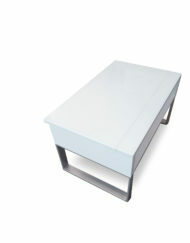 The glass set of Harmony nesting tables is an excellent fit for city apartments. 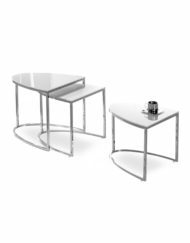 Use it as a side table or a small coffee table and hide it away by nesting the small table inside the larger to reclaim your space. 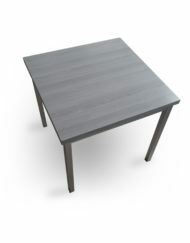 7-10 days. 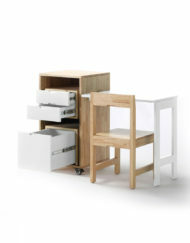 Fully insured for safe delivery. 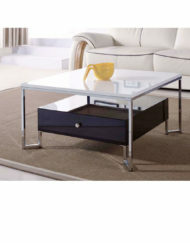 Just place the glass tops & rubber holders onto the steel frames.